Outgoing IARC Director, Christopher Wild, refused to attend the US House Science Committee hearing into the IARCgate scandal. In actions of arrogance never seen before at any UN agency, Wild is snubbing IARC’s single largest funder. To make matters worse, several days ago (on January 11), Wild wrote a regrettably undiplomatic letter to the honorable US Congressional leaders in language that was terse, insulting, demeaning and factually incorrect. As IARC is searching for a new head for this moral train-wreck of an agency, Wild seems determined to leave it in tatters. 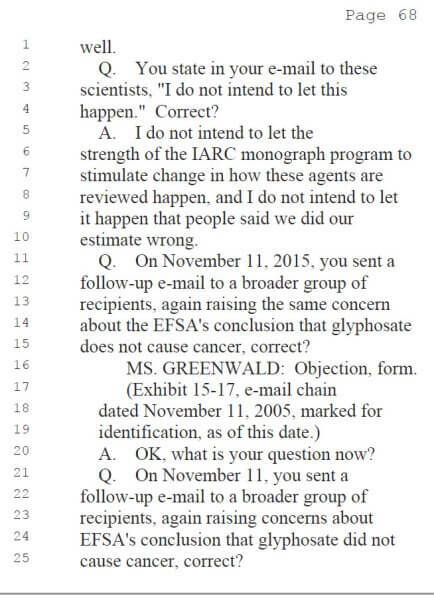 The clever wordsmithing here reveals much more about what IARC is trying not to admit than about what they did not know. 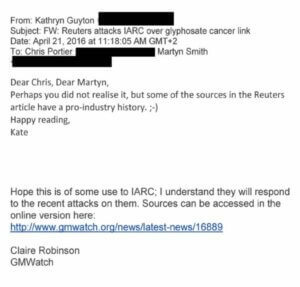 To say that IARC was not aware of Portier’s association with law firms at the time of the publication of the glyphosate monograph is not worth very much. 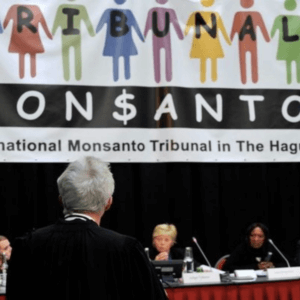 After all, everyone knows Portier had signed a very lucrative contract as a litigation consultant for two predatory law firms suing Monsanto sometime during the week after Monograph 112’s initial findings were published. What is interesting here is that IARC was fully aware that Portier was working for the American anti-pesticides group but chose not to list that as Portier’s principal affiliation. I can only assume this emanates from the built-in anti-industry bias that has destroyed the agency’s credibility – they perhaps felt that only industry affiliations were conflicts of interest. If you took money from an NGO trying to falsely scare people with, say, a wristband that detected chemicals in the environment, you were assumed to be doing God’s work. That nobody took notice of Portier’s behavior during the meeting should not be surprising – he was among friends at that meeting. 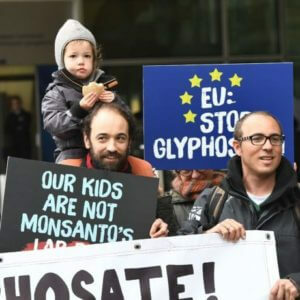 Less than a year later, in January 2016, Portier was joined by IARC glyphosate Working Group members, Francesco Forastiere, Ivan I. Rusyn and Hans Kromhout in a private meeting with EU Commissioner Andriukaitis to lobby against the EFSA position. How the transport of these scientists was funded and who organized this fruitless meeting is a mystery that Kate will probably bring to her grave. Wild’s defense of Portier’s role as chair of the Independent Advisory Group that recommended IARC’s coming programme of monographs is where the stench from this miserable little letter has caused me to open a window (in January mind you). What Wild neglected to say was that the chair of this independent panel had just finished a six-month residency at IARC directly under Kurt Straif (the head of IARC’s monograph programme) and just three days later chairing an independent panel. I suppose they saved on airfare for the good doctor! Who makes decisions like this? Either poor civil servants who don’t think very much or determined people with an agenda and an ax to grind. In the case of IARC, probably both! I find it amusing that Christopher Wild is schooling US congressmen from the House Committee on Science, Space and Technology about how the US Agricultural Health Study (AHS) research is conducted and then trying to diminish the importance of the data it is producing (only two states?). How ignorant does Wild actually think these people are? As a Canadian wandering around policy centers in Brussels and often assumed by my accent to be American, I can validate how certain Brits in high places tend to be intellectually condescending towards Americans. This is indicative of the rampant arrogance at the heart of IARC that has put those overpaid functionaries to the point of being defunded by its largest member. Chris, I strongly suggest you write a second letter where you apologize for your disgraceful tone – shame on you! 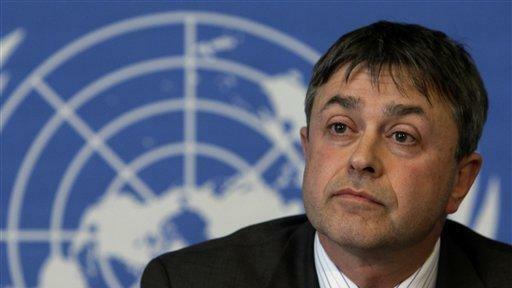 Dr. Wild, you are sitting on what is perhaps the greatest scandal to ever disgrace any UN agency, and rather than opening up the antics of your officials for scrutiny, you are continuing in some vain attempt at a cover-up and begging for immunity. I am not just referring to the disgraceful activist side-shows of Kate Guyton (whose email trail would probably sink the agency) or Kurt Straif’s dubious activities in that malignant hornet’s nest of activism known as Ramazzini. The hubris here is outrageous. The closing lines of this letter indicate that this little sanctuary from the real world in Lyon seriously thinks of itself as some noble bastion of international diplomacy, blue helmet heroics and world-class research. Maybe that is why they go around inflating themselves, citing their heroes and handing out medals of honor as if Charles de Gaulle were still lurking in the hallways. In reality, they are a rag-tag mishmash of second-rate activist scientists providing poorly-devised hazard assessments that they then use to undermine regulatory science. Wake up, Chris! At best your agency’s work should continue to be politely ignored; at worst you should be shut down. One final observation about your letter, Chris. 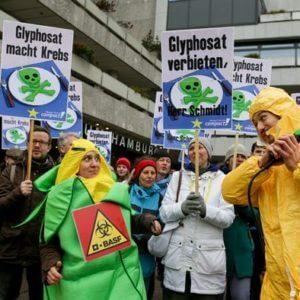 You did not touch upon the most outrageous scandal raised in the Congressmen’s letter: that IARC edited out parts of the glyphosate monograph post-working group in order to make the glyphosate conclusions smell more “carcinogenic”. Surely, Chris, you must have some condescending riposte to put those stupid Americans in their place. Or is your only response to be “grateful” if they stopped demanding transparency and scrutiny and allowed IARC to continue on, business as usual? 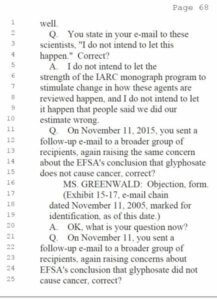 You omitted, in your letter, any discussion on the charge that IARC’s Monograph 112 on glyphosate lacks academic integrity. Here is what I suspect about the slimiest part of IARCgate. There are internal IARC documents that discuss the reasons to edit out certain conclusions or evidence in the glyphosate monograph. They are likely not scientific since most of the glyphosate monograph lacks that virtue. Some of the editions were statistical, implying that the good Dr. Portier was probably involved (and he carelessly left an email trail). But when I witness such moral depravity, such bald-faced lying and such scum bubbling up on the shores of the Rhone river, maybe my past advice along the Potomac should be tempered. Maybe IARC has lost any legitimacy to continue to exist. 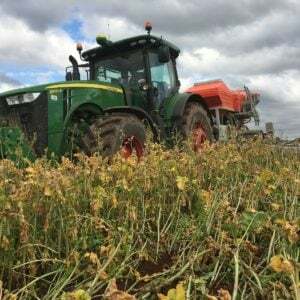 This article was originally published at David Zaruk’s blog as “IARCgate: Shouldn’t IARC Stop Lying?” and has been republished here with permission.